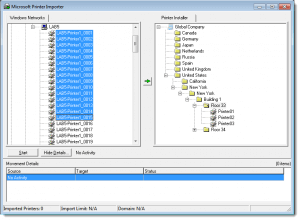 Click Tools -> Import / Export -> Import Microsoft printers into Printer Installer. The Printer Import dialog will open. In the left pane, browse to a print server and select the printer object(s). In the right pane select the folder or create a folder in the Printer Installer tree structure where you would like the printers to be imported to. If you would like to link a Windows shared printer to an existing Printer Installer printer, select the Printer Installer printer in the right pane instead of a folder. Click the green arrow in-between the two panes. The printers will then be imported (copied) to the desired folder. Open Tools -> Settings -> Client. Enable the option labeled Enable Printer Installer Client to convert end user's Microsoft printers to TCP/IP printers that have been imported into Printer Installer as TCP/IP printers. If you would like to restrict the printer conversions to a subset of the computers with the client installed, check the box marked Enable Microsoft conversion item-level targeting. Then click Show Filter and add the users, computers, OUs, or IP address ranges you would like to have converted. Login on a computer that has the Client installed and the Microsoft printers will be converted. 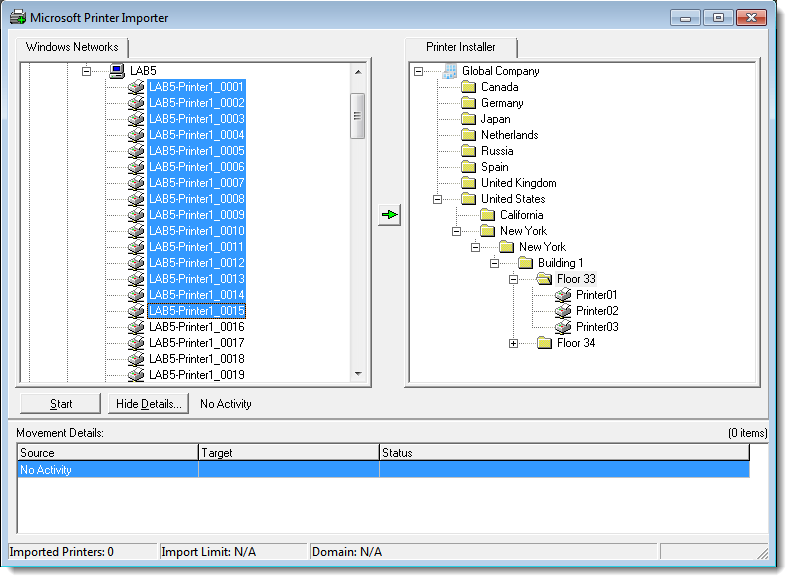 In the left pane, browse to a print server and select the printer object you wish to link. In the right pane, select the printer to be linked to. The two printers will be linked, and conversions from the network printer to the direct IP printer will begin as clients check in.